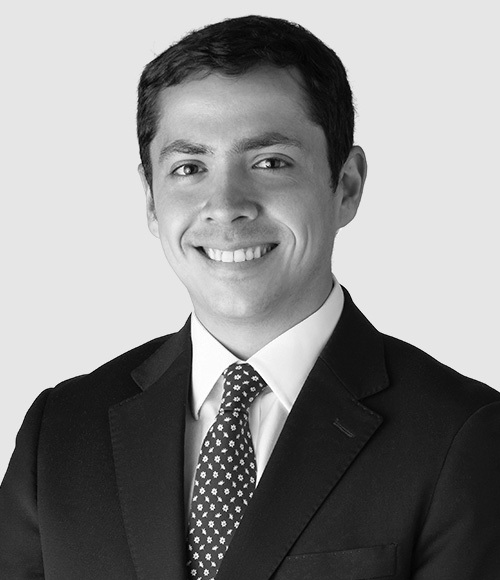 His practice focuses on representing Chilean and foreign clients in mergers and acquisitions transactions, private equity and venture capital transactions, capital markets and corporate and commercial matters in general. Cardinal Health, a company in the pharmaceutical distribution business, on the acquisition of the medical supply business of Medtronic, a global leader in medical technology, services, and solutions, for USD6.1 billion. International Finance Corporation on an investment of USD140 million in Consorcio Financiero, a Chilean holding, to support its growth and regional expansion. Christus Health on the negotiation of a joint venture with Universidad Católica de Chile for the management and development of Chile’s largest private healthcare group, Red de Salud UC. Private Equity and Venture Capital funds on corporate matters, M&A and investments. A Chilean medical technology company on the transfer of its ownership and operations abroad. Ingram Micro on the acquisition of a Brazilian IT technology distributor Ação Informática and its subsidiaries in Colombia, Argentina, Chile, Peru, Ecuador and Uruguay, for USD78 million. Foreign Associate at Fox, Horan & Camerini, New York (2014-2015). Speaker, seminar “Venture Capital – From Chile to Abroad”, Sillicon Valley Bank, New York (2017). LL.M. in Corporate Law, New York University (2014).